Pet costumes are cute. They are not always safe. Last year, the number of people who dressed up their pets rose by 2 per cent from 2015, according to the National Retail Federation. 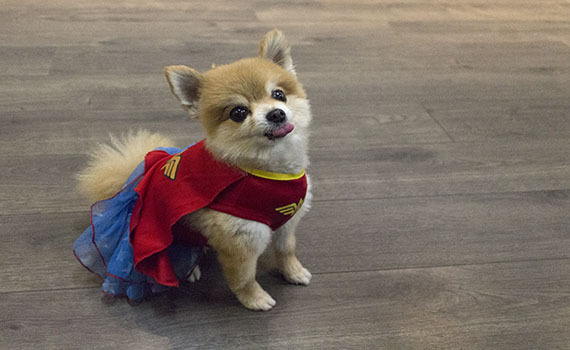 Dressing pets up for Halloween is becoming more popular with owners, but they need to be cautious when picking their costumes. 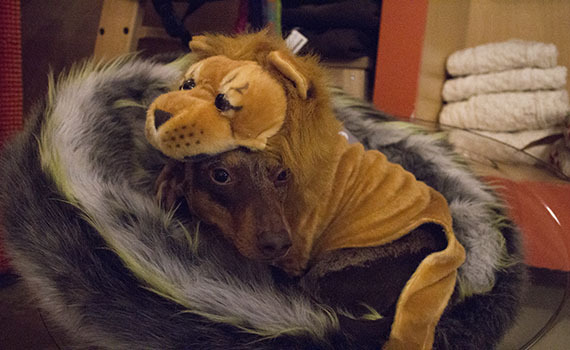 Kellie McCutcheon, senior marketing manager at Pet Valu said that owners have to make sure the costume fit their pets comfortably, otherwise it may be a serious hazard. According to Dr. Michael Dodds, a veterinarian at the Kerrisdale Veterinary Hospital, this practice is both cute and safe. He said he doesn’t see any significant health risks when dressing up your pets. 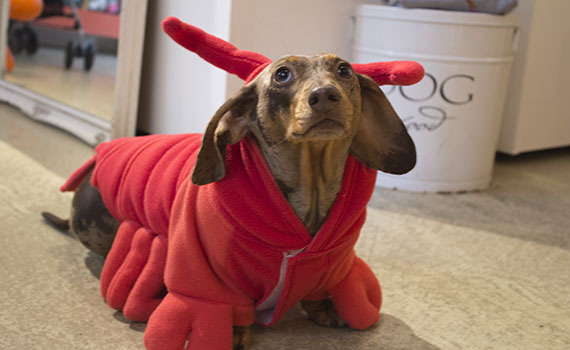 Pet owners say they will be dressing their animals in costumes such as lobsters, superheroes and skeletons this year. 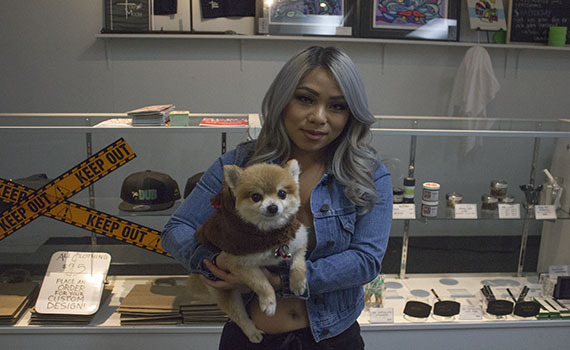 Athena Wong, a Vancouver dog owner, said her Pomeranian, Silky, loves wearing clothes, including her unicorn, police officer, reindeer and Wonder Woman costumes. 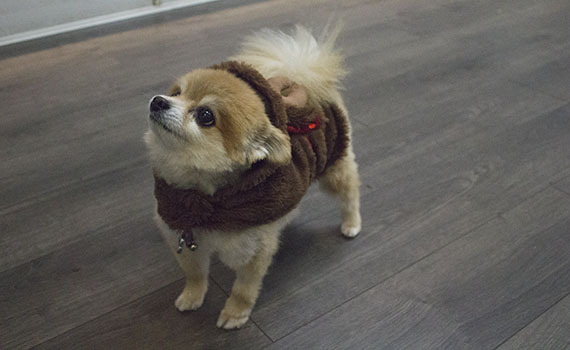 “Silky really likes being dressed in her clothes, but it depends on the pet if they’ll like it” Wong said. 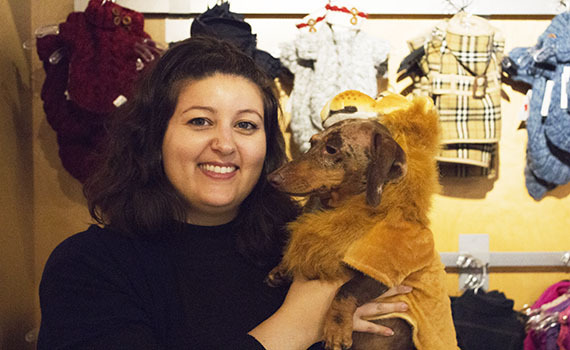 Tania Akehurst, a top dog retail sales associate at Barking Babies, a boutique for dogs in Yaletown, said pet costumes are becoming more popular, especially for pet owners who choose to wear the same costume as their pet. “I think it’s fun to match with somebody and it’s easy to make your dog match with you,” Akehurst said. According to Akehurst, Wonder Woman is the most popular matching costume for people and their dogs to wear this year. When it comes to trick-or-treating with your pet, Dodds said owners should take extra care with their pets, as loud noises can easily spook them. He suggests leaving your pets in a safe place at home on Halloween night. “The dogs aren’t really going out for the chocolate,” Dodds said.